Coleman Company is a story of success. It started more than a hundred years ago when W.C. Coleman started making lanterns in Wichita, Kansas. After the success of his lantern, he started making other products to make our life easier in the outdoors, such as hunting and fishing gear, tents, camping beds and even kayaks. Now, if you are planning on going camping and are looking for the best Coleman tent, we will provide you a list of tents based on customer feedback and reviews. These are the top tents that Coleman has to offer. 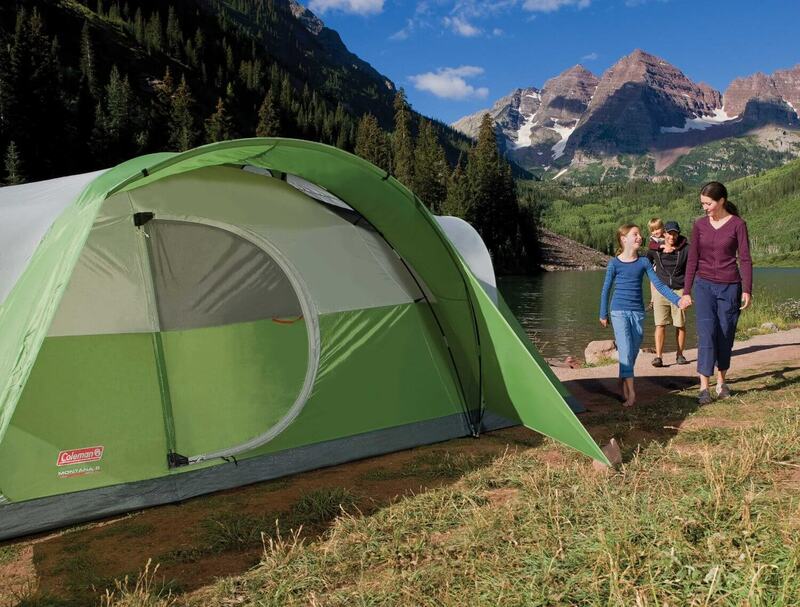 Click here for Top Coleman Tent available in 2016! Click here to read from 1128 customer reviews! Click here to read from 1780 customer reviews! Click here to read from 1328 customer reviews! There are three types of Coleman tents, the cabin type, the dome type and the tent for full backpacking type. These tents are for different purposes hence the cabin type is recommended for hunting trips while the dome type is recommended for ground and short trips. The full backpacking type on the other hand is recommended for backcountry adventures. All tents created by Coleman are the best Coleman tent for each category because they all provide space, they are light and compact and they offer secure and safe sleeping experience. Are you excited to see what we have for you from Coleman? Here are the top 3 most popular Coleman tents that you might find of interest. Rated 4.3 out of 5 stars from 1661 customers. Click the image for prices and reviews! 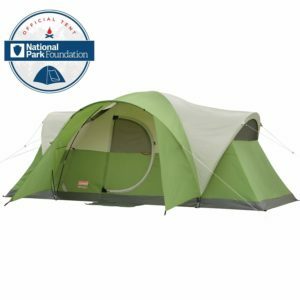 What is the best Coleman tent that is below the $150 mark? If you are looking for affordable yet durable Coleman tent, the 8-Person Red Canyon Tent from Coleman that costs $ (click here for the price) is a great choice. 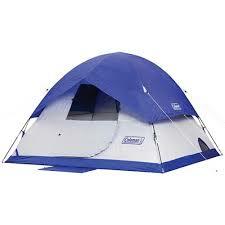 For family camping and outdoor activities, this is the best tent to have because it can accommodate up to 8 persons. This tent has a measurement of 17 by 10 feet with a 72-inch center height and once erected, you can use the room dividers that come with it to make three separate rooms inside. This best Coleman tent also feature Coleman’s Weathertec System that keeps user dry regardless of the weather condition in their camp area. Setting this tent up is easy with the poles being shock cord. Carrying this tent is also easy because it can be divided among the campers given that the poles, stakes and the tent itself are in three different storage bags. Can you still breathe inside this 8-person tent if all of you are there? The answer is yes because of the adjustable cool-air port and Variflo venting system that Coleman uses. This tent has a dimension of 9.5 x 9.5 x 25.25 inches. Rated 4.5 out of 5 stars from 1128 customers. Click the image for prices and reviews! 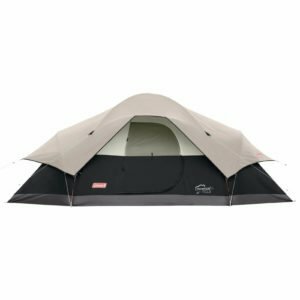 The next top of the line Coleman product in our Coleman tent reviews list is their Sundome 4 Person Tent. This tent is available for a price tag of $ (click here for the price). This tent is one of the most durable and highest performing tents of Coleman because of its trusted polyester material. This tent can accommodate up to 4 people and you can all sleep comfortably and peacefully on it 1000D Polyethylene floor with welded seams for optimum leak protection. The poles of this tent are 8.5mm thick and are made of fiberglass. When fully erected, the center height is at 59 inches. This tent features a large door plus a hooded fly for better ventilation. 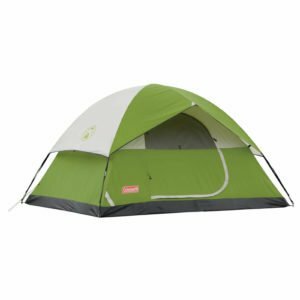 As a bonus, this best Coleman tent also features an electrical access port and easy to set up process making setting up and taking down a lot easier even for solo campers. This tent has a dimension of 4.09 x 9.02 x 7.01 inches and it weighs 8 pounds. Rated 4.3 out of 5 stars from 1220 customers. Click the image for prices and reviews! The last best Coleman tent in our list is the Montana 8-Person Tent. This tent is also made of polyester material. It features a cabin-like design with windows that can keep the rain out when it is pouring. For large families who want to spend the night in a beach or at the park, this 8-person tent is surely a hit. If you want to use some of your gadgets while inside the tent, you can do so with its electrical access port, hence there will be downtime and low battery issues here. This tent with a dimension of 9 x 9.25 x 27.5 inches can be yours for only $ (click here for the price). It weighs 24.5 pounds though so if you are planning a long journey in the mountains, this might not be ideal to bring. The Coleman Montana 8-Person Tent is better used for family camping held in areas accessible by car like parks, beachfront and wild parks. Coleman has been known for making quality products and affordable ones, the reasons why they are still in the industry after 10 decades. Their best Coleman tents are one of a kind that aims to give users the chance to reconnect with the outdoors again. Coleman is not a household name for no reason because if you are looking for the best outdoor gear to use like tents, Coleman is the brand to trust.